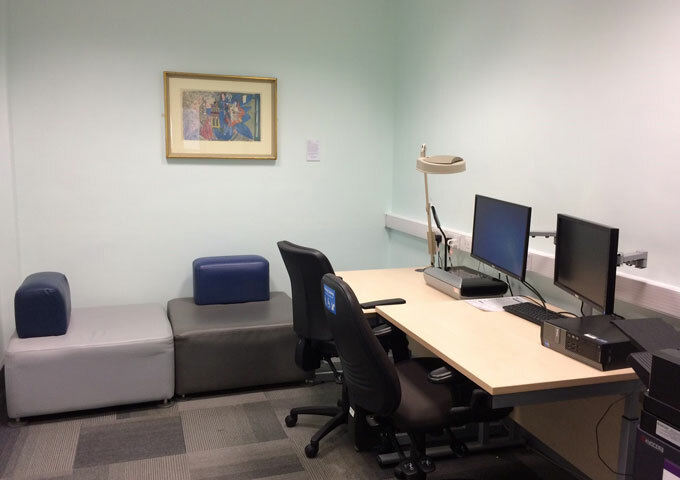 Accessible study rooms may be booked by students or staff supporting students registered with the University Disability Services, for a maximum of 3 hours per day and up to four weeks in advance. 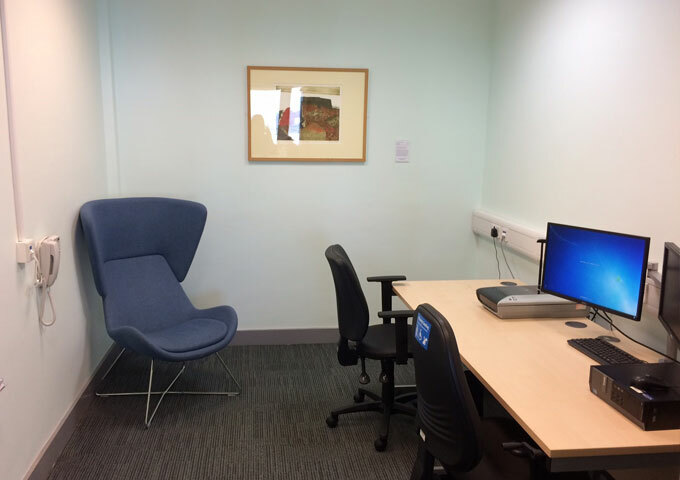 All rooms have as standard a computer, an adjustable table and chair, a lamp, whiteboards and automatic doors. 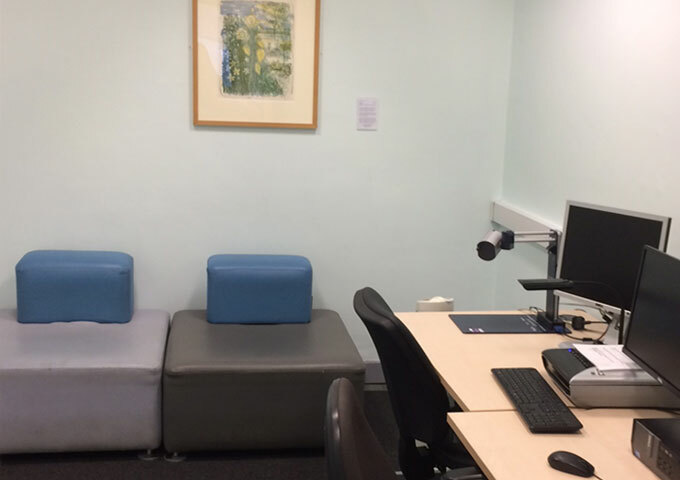 Separate booking rights for Sensory Study Room. Please see individual room details below. A study room located on floor 2. 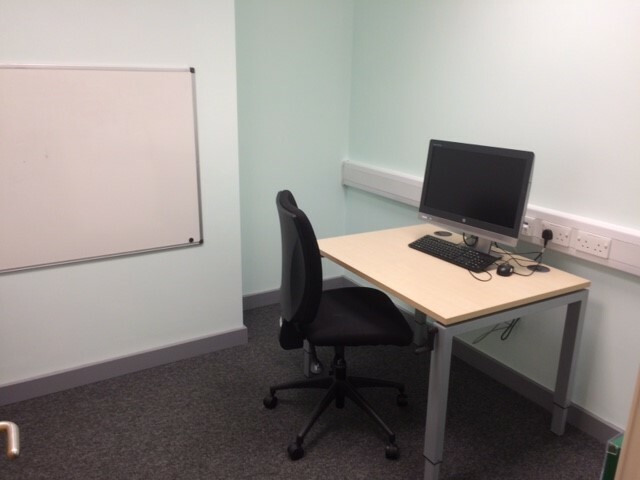 The room also contains lockers, soft seating, a scanner and a printer. Please note - this room is situated next to a group area so you may experience some noise. Warning! 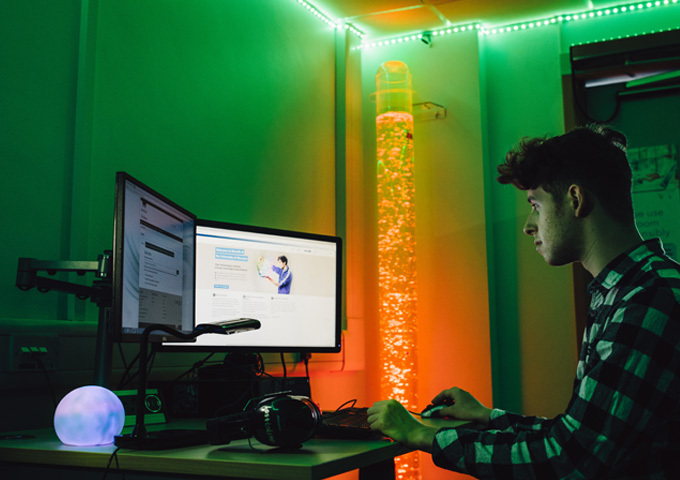 The LED strip lighting remote provides options for strobe and flashing lighting. Remember that this room is in a Quiet Study Zone. 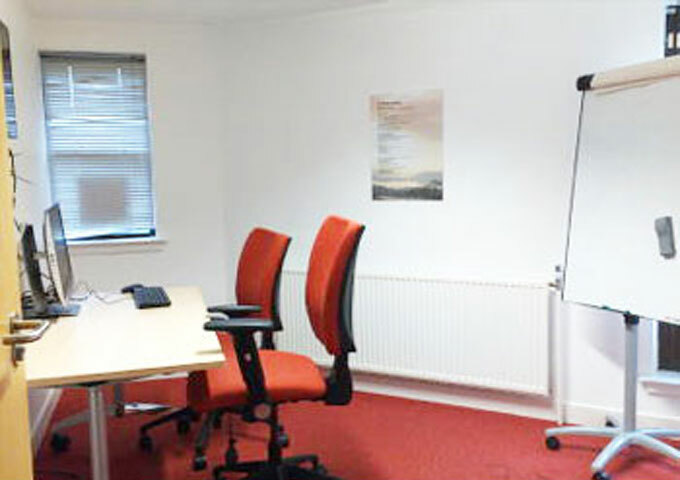 The room is not soundproofed so it should not be used for group sessions. If you are with a support worker, please keep noise to a minimum. Remember that this room is in a Quiet Study Zone. 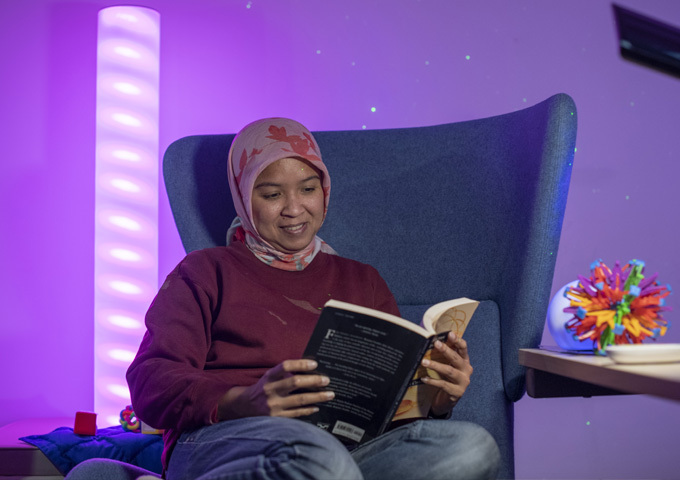 It is not suitable when working with a fellow student and is only suitable for quiet conversations with a support worker as it is not soundproofed.